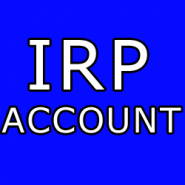 IRP -International Registration Plan is the registration required for vehicles over 26,000 pounds that cross state lines. Also known as Apportioned Plates and Prorate Account. IFTA is the fuel tax decals and license for the same vehicles. Our service charge is to set up the account in your domicile state. THIS DOES NOT INCLUDE THE PRICE OF THE TAG.